The praise and worship leader for America's #1 platinum-selling Gospel ensemble, Shekinah Glory Ministry, Phil Tarver, has defined the art of praise and worship for the new millennium generation. 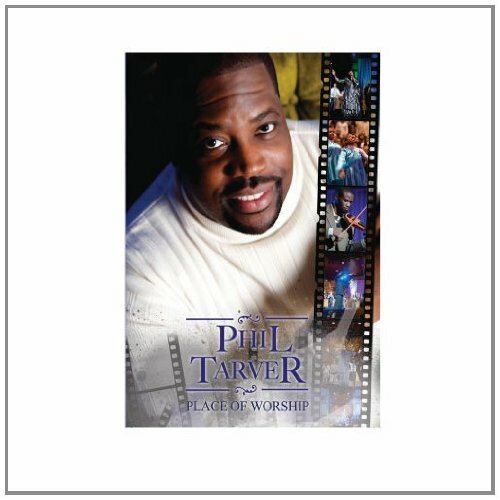 On his second solo Place Of Worship DVD release, Tarver takes the listener on a rollercoaster ride of emotional ups and downs that display the amazing passion and varied colors of authentic praise and worship music. Tarver's gruff tenor soars through these 17 songs like electricity in a rainstorm and energizes these tracks, all backed by a live band that rocks to the Rock of Ages. If you have any questions about this product by Kingdom Records, contact us by completing and submitting the form below. If you are looking for a specif part number, please include it with your message.